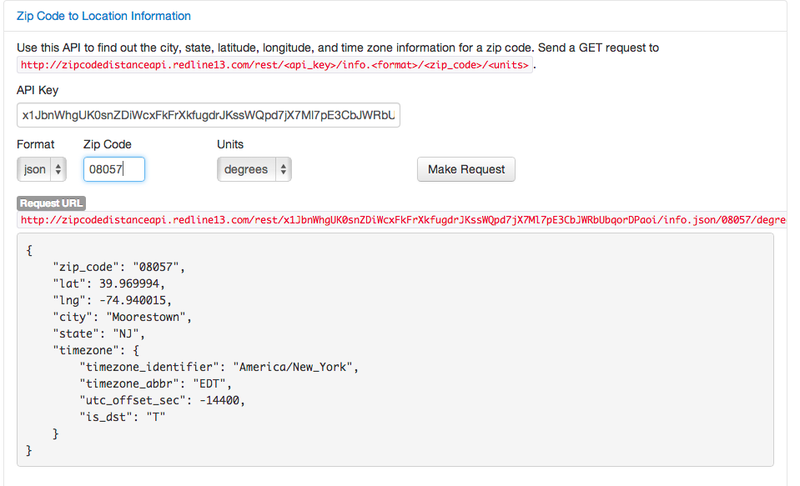 Zip Code to Timezone API - ZipCodeAPI Also Returns City, State, Lat and Lon. Zip Code to Timezone API takes a Zip Code as input and returns the Timezone in the results. The Zip Code to Timezone API is part of Zip Code Location which also returns city, state, latitude, and longitude. This can be useful for applications that want to automatically set a timezone for a user. You can try it yourself at Zip Code Location.